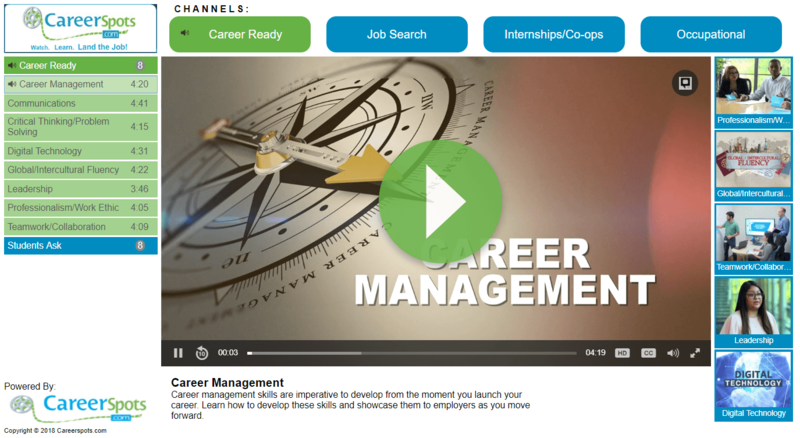 200+ colleges and universities trust CareerSpots to prepare 3.5+ MILLION students for their careers. Our fun, fast “how to” videos teach students the skills they need to land the jobs or internships they want. We offer affordable packages for all career center budgets. having a sponsor pay for your subscription! Company/Organization Sponsor — A valuable opportunity for company publicity — sponsor receives a 24-7 banner on your video player. Grant Money — Many clients seek grant money to pay for their videos.